Ahhh, look at the juicy color on your barn! Its a show stopper. Lovely!! Very inviting and serene. Oh, how gorgeous! You have a real knack for that time of day. Reminds me of the Early Bird. Susan, you're so supportive--thank you! Thanks for coming by, Sam, and for your encouraging words. This is fantastic Don! 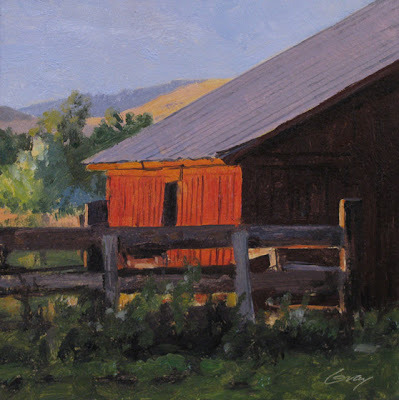 Barns are one of my favorite subjects. :) I love how you have captured that magical light that August brings. Erin, it was great meeting you and great to see your blog of beautiful photos! Thanks for your comment.